As we begin to understand the importance of therapeutic neuroscience education in the clinical management of pain, many of us are unsure how to apply it. 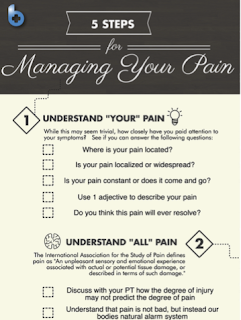 Will our patients understand the complexities of pain? When do I introduce the concept? How will they respond to the message? 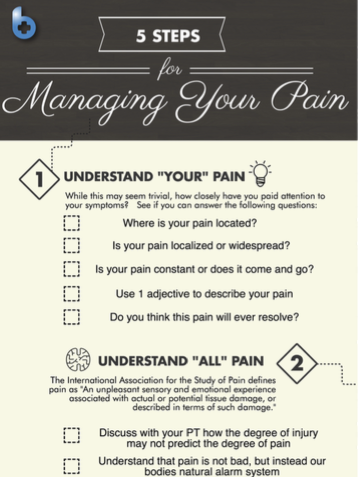 At The Eclectic Approach, Dr. E and myself collaborated to come up with a road map which clinicians can utilize with their patients to better understand pain. This road map, begins with the individual understanding their current condition and progresses to understanding the concept of pain. The patient then becomes an advocate for helping spread the message. This 5-Step process is what we are currently utilizing ourselves in the clinic. We are currently offering this road map as both a digital download, and/or printed version and would highly recommend you check it out today!